When you have one of the biggest shows on Netflix, it should come as no surprise that the stars of the show would get a major pay raise. According to The Hollywood Reporter, the stars of Netflix's hit show Stranger Things will be getting a much deserved pay raise going into their highly-anticipated third season—and their salary bumps are pretty huge. The salary increases will be even greater for the child stars of the show, who are reportedly going to make roughly 12 times the amount that they are making now. Per the report, insiders told THR that the deals closed last week because production for Stranger Things season three is expected to started filming next month, on April 23. While Netflix declined any comment, it does look like inside sources told the website what each member of the cast is now slated to be making. The cast is reportedly broken into different pay tiers. The “A tier” is made up of the adults of the show, Winona Ryder (Joyce) and David Harbour (Jim Hopper), who are currently making up to $350,000 an episode. 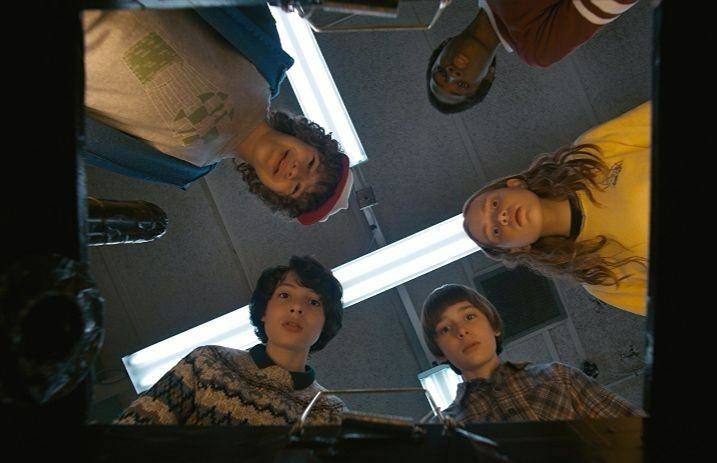 The “B tier” is then made up of the child stars Finn Wolfhard (Mike), Gaten Matarazzo (Dustin), Caleb McLaughlin (Lucas) and Noah Schnapp (Will), who are making $250,000 per episode. Lastly, the “C tier” is made up of the teens of the group, Natalia Dyer (Nancy), Charlie Heaton (Jonathan) and Joe Keery (Steve) who are roughly making about $150,000 an episode. The obvious missing unit to any of the tiers is the show's 14-year-old star Millie Bobby Brown (Eleven) because, per THR, her camp has remained quiet throughout the negoitiation process. While her salary raise is unclear, we do know that Brown is making as much as the rest of the kid cast, but some sources are hinting that Brown could be making as much as the adults of the show or possibly somewhere in between. There was no mention of the second season's newest stars Sadie Sink (Max) and Dacre Montgomery (Billy). Whatever the case may be for the salaries of the cast, the raise is incredibly well-deserved, especially for the show's child stars. With the raises, the young members of the cast are expected to earn a wild 1,150 percent more than their previous earnings, which means Wolfhard, Matarazzo, McLaughlin and Schnapp could play as many arcade games that they desire. The pay raise is deserved for the entire cast. As previously reported, the first episode of season two averaged a whopping 15.8 million viewers also within the first three days. Not to mention, 361,000 people watched all nine episodes of the season within the first 24 hours of its release… That might have been us. We have no shame. Plus, Variety also shared that there were 7.2 million social interactions across Facebook and Twitter about the series over the first three days. Once again, much of that discussion was definitely from us. With such high numbers, it's clear to see why the cast deserves a little more for their efforts. Of course, we're still waiting for Season 3 to air, which was officially confirmed late last year. Everyone’s ready for more, and there are already speculations about what'll happen in Season 3. One thing we can expect? More ‘80s references. Heck yes.